ALBANY – Rev. John J. Malecki, age 92, died peacefully at Teresian House, 200 Washington Avenue Extension, Albany, NY on Wednesday, April 3, 2013. He was born June 2,1921, son of the late Thomas Malecki and Mary Lisowicz. He was a communicant of the Church of St. Adalbert, Schenectady, where he attended the parish school, and graduated from St. Joseph’s Academy. He pursued his higher education at St. Mary’s College, Orchard Lake, Michigan, and St. Joseph’s College and Seminary in Yonkers, NY. John was ordained a Roman Catholic Priest on April 17, 1948, at the Cathedral of the Immaculate Conception, Albany, NY for the Roman Catholic Diocese of Albany, NY by Bishop Edmund Gibbons. His first assignment was to serve as associate pastor of St. Patrick’s Parish Albany, followed by the assignment as Spiritual Director of Mater Christi Seminary, Albany, NY for 12 years. During these ministries he served as Diocesan Director of the Legion of Mary and Auditor of the Diocesan Tribunal for 12 years. From the enlightenment of the Second Vatican Council, he took the step toward integrating spirituality with psychology by pursuing doctoral studies in counseling psychology, earning his M.A. from T.C. Columbia University, NYC, and his Ph.D. from the University of Oregon in 1969. Then he was appointed as the founding-director of the Consultation Center of the Diocese of Albany, which provides individual counseling, group counseling and educational programs in the area of human development. In 1978 he served on the committee to set up St. Peter’s Hospice and also served on the first staff as priest-psychologist. In 1970 Father Malecki and Sister Susanne Breckel, R.S.M. at the invitation of the United States Air Force successfully presented “Values Clarification Workshops” at the nine air bases in Thailand. Their work was highly commended. Father’s ministries in the Roman Catholic Diocese include, Director of Clergy Education, Pastor of the Church of St. Adalbert, Schenectady, pastor of the Church of St. Margaret Mary, Albany, Chaplain of Teresian House Center for the Elderly, Albany, weekend associate to the Church of St. Matthew, Voorheesville, and the presiding Celebrant at the Sunday Eucharist at the Avila Retirement Community, Albany. Father was an active member of the National Association of Catholic Chaplains, American Psychological Association, International Association of Analytical Psychologists, New England Association of Jungian Analysts. He is a licensed New York State Psychologist and a N.Y.S. Credentialed Addiction and Substance Abuse Counselor. He is listed in the National Provider of Health Services in Psychology. His writings include the following: “Jungian Perspective on Suffering and Pain in Physical Illness”, “A Manual for End of Life Care”, “Images from the Unconsciousness in Alzheimer Patients”. 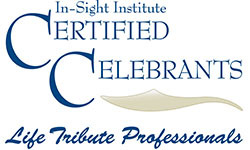 He received distinguished service awards from the Psychological Association of Northeastern New York (PANNY), The Assisi Institute and the “Teresian Lifetime Achievement Award” granted by Teresian House of Albany. He especially valued the privilege and opportunity that came to him when the priests of the Diocese chose him to serve for six years on the “Priestly Life and Ministry Committee” of the National Conference of Catholic Bishops. In 1993 he moved to Teresian House, in Albany where he served at alternate times as sacramental minister and chaplain. In his striving for a healthy balance toward wholeness he was faithful to daily exercise that included jogging, swimming, cycling and skiing; and yes, he was an enthusiastic fan of Notre Dame and the New York Yankee baseball team. The critical moment in his full and active life came when medical doctors made a spinal evaluation which gave evidence of Ankylosing Spondylitis, a degenerative disease in which soft tissue turns into bone. With no known cure, the doctors advised, “keep moving”. And so he did. At the age of 65 he ran the New York City Marathon (26.2 miles) and over the next 20 years he completed 23 full marathons and two half-marathons. Doctors have confirmed that his determination to “keep moving” kept him out of the wheel chair. He is profoundly grateful to Dr. Mary Ellen Drislane and St. Peter’s Hospital for superb care and competence. One of the most important and transformative experiences of his life was the completion of the Contemplative Musicianship Program of the Chalice of Repose Project, the creation of Therese Schroeser-Sheker, which integrates contemplative prayer, music in service of the dying. He is grateful to Albany Medical College for accepting the donation of his body to the Anatomical Gift Program for educational and scientific purpose. Upon his death, the body was transferred directly to Albany Medical College and there is no wake with calling hours. A memorial Mass will be celebrated at the Church of St. Adalbert, 550 Lansing St. Schenectady, on Friday, April 12th at 11:00am. Bishop Howard J. Hubbard will be the Principal Celebrant. Father Malecki is deeply grateful for the love, care, and support of Bishop Hubbard, the priests of the Diocese of Albany, the Christian Brothers, the Sisters of Resurrection, the Sisters of St. Joseph of Carondelet, the Sisters of Mercy, the Little Sisters of the Poor, the Carmelite Sisters for the Aged and Infirm, and to all the people he has been privileged to know and serve. Father Malecki is survived by his brother Gerald S. Malecki of Springfield, VA, sister Rita Malecki McPherson of Cary, NC, cousins Carolyn Hack Texeras of Dewitt, MI, Dolores Miller Zobre of Palatine Bridge, Kenneth Maleck of Augusta, GA, Paul Maleck of Springfield, MA, Carolyn Palasszawski, Paul Palaszewski, and David Palazawski all of Schenectady, NY. Those who wish may send a contribution in memory of Fr. Malecki to Teresian House Foundation, 200 Washington Avenue Ext. Albany, New York 12203. To leave a message of condolence for the family or send a sympathy card, please visit www.HansFuneralHome.com. Click here to view or print Father’s prayer card. Clike here to view Father’s resting place in St. Adalbert’s Cemetery, Hamburg St., Rotterdam, NY. My deepest sympathy to you know in your time of sorrow. I only met Rev Malecki several times and briefly, and was impressed with his kindness and caring for others. He leaves a legacy of many accomplishments for all. 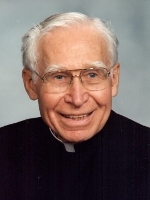 It is with sadness that I read of the passing of Father Malecki. He was an extraordinary man who made the world a better place. He generously shared his knowledge of human dynamics so as to bring peace to those who sought his help. It was a blessing to have known him. His legacy will live on in the hearts of so many. Our family was priveledged to have had Father Malecki administer our Sunday masses at St. Matthew’s church and had the honor of Father Malecki baptizing our daughter. I think my daughter said it best when she was 4 or 5 one Sunday at church. Father Malecki had greeted her during church and she turned to me and asked “Mom, is that God?”. I think Father Malecki indeed emulated “the goodness of God”. He was so kind and just had such a wonderful passion for life and loving way about him. May he rest in peace in the eternal love of the Lord he served so faithfully. Our condolences to his friends and family. My Daughter Amanda Rae & myself wish to extend our heartfelt prayers and deepest sympathies to Ftr.Malecki’s family & loved ones. He was an integral part of our spiritual well-being as parishioners of St. Matthew’s Church,Voorheesville. He is also closely resembled my beloved maternal grandfather(Mickey). He shall be dearly missed by our family & so many others. May he soar with the Angels! Father will always be an inspiration of love and kindness to all of us but he truly touched our family and our hearts so many times through the years. He was ever present and so generous with his wisdom and caring. He will be solely missed and always remembered.We are so grateful that he was such a treasured part of our St. Matthew’s community. If we could all be so good, the world would be such a beautiful place!!! We send our love, thoughts and prayers to all of you!!! God bless !! Love and peace, Bill and Mary Ellen. I worked at the counzeling center for 2 years and was a member of the board of the Counseling Center. I met Father through these ministeries and came to know and admire his wisdom and his gentelness with everyone. May he rest in God’s loving arms. All will miss him. He was the gentlest person I have ever know. It was a privilege. back in the 1970’s I had the pleasure of meeting Father Malecki when he visited St Ambrose church in Latham NY. I was thrilled to meet him because I had grown up on stories about him as my mother had been a member of St Patrick’s in Albany New York when hserved there. He had married my parents as well as baptized me. My mother the former Arlene Ross, really liked him and had spoken of him on many occasions. My father was not catholic and had to go through marriage preparation classes with him. My father had a lot of respect fro him as well. Needless to say, h had a big influence on my parents. I am sorry to hear of his passing and hope that his family can take comfort in knowing he had a very positive effect on many peoples lives. I was surprised and saddened to hear about Father Malecki. I had quite a bit of contact with Father Malecki over the 16 year period while Mom was resident at Teresian House. I also met him on a number of occasions at the Y. It was always a pleasant experience. He told me once that I set an example at Teresian House by the way I attended to my Mom. I tried to go to his Memorial Mass but I couldn’t find a parking space. I got there at 10:48 but The Church lot was filled. I finally parked the car on a side street (like so many others) and started to walk with an umbrella but couldn’t find the Church. I got back in the car and finally located the church but because I was in unfamiliar territory (one way streets etc. ), not to mention the rain, I regrettably “gave up the ghost” and went home. I will really miss seeing him. Our condolences to you for your loss. Father Malecki was a terrific man who lived a life of compassion and caring for others. His true goodness and perseverance through life set an example for all to emulate and he will be missed by many. He truly made a difference in this world and has left a lasting impression on our family. His memory will live on in our hearts. On behalf of the staff of the Standish Library at Siena College, may we convey our sorrow about the passing of Fr. Malecki. We celebrate his life and express our appreciation for the hundreds of books that Fr. Malecki donated to our library on so many different topics relating to relgiion, counseling, psychology and theology. He was a good friend of Siena. Our prayers and thoughts are with the family. Father was and always will be one of the greatest people I ever have known. He was caring, friendly and so kind. Father Malecki was the smartest person I ever have met, but he was so humble. Father helped me so very much when my Wife died and also as I started to try to live again. I will miss him but NEVER forget him I now pray to him.